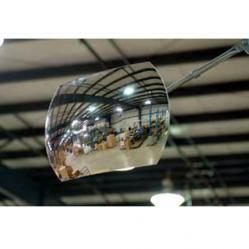 Roundtangular mirrors are recommended for areas with low ceilings. 20" x 30" and 24" x 36" mirrors are UPS oversize. We will contact you to confirm shipping cost. This item is taxable in Illinois, Michigan, Nevada and Washingon. Appropriate sales tax will be added to your order.